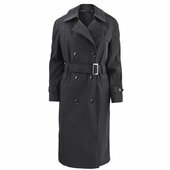 The All Weather Coat is a black double breasted coat with seven button closures, a belt, convertible collar that buttons at the neck, gun flap, shoulder loops, adjustable sleeve straps, welt pockets with two inside hanging pockets and zip-out liner. The back of the coat has a yoke sleeve lining made of nylon taffeta. This doubled breasted coat will be issued in the Navy's Bag 1 October 2015. This is also issued in the Army's Bag. The all weather coat should fit comfortable over the uniform, not restricting movement. 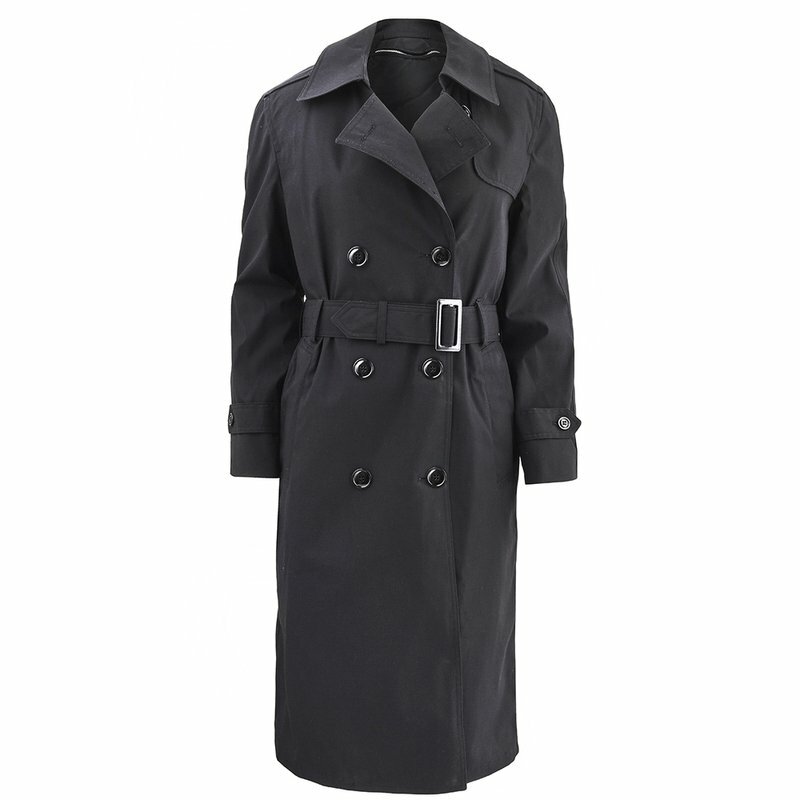 The all weather coat should be worn with the belted and all buttons fastened with the exception of the collar button. Collar button may be buttoned in inclement weather.